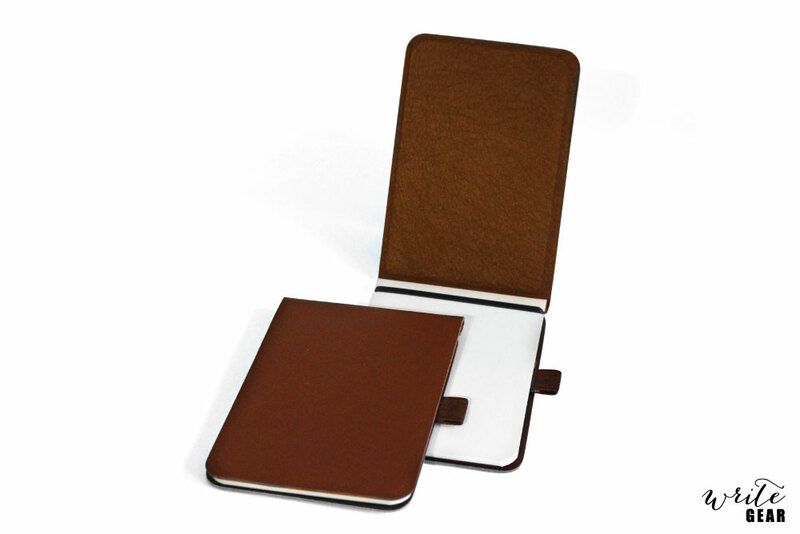 The notepad is just as unique and self-made like your thoughts: Thanks to its unique and practical shape, the notepad fits into any pocket, it contains just the amount of pages that you really need and it can be refilled at any time. 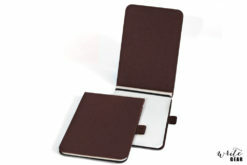 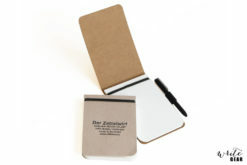 Ideal for capturing thoughts and ideas on the go for later processing. The fine quality Nappa leather from a traditional tannery in Baden-Württemberg, Germany and is processed by hand to become the noble notepad. 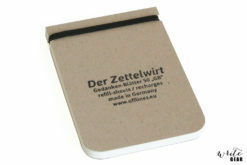 The cream-colored sheets of notepad are made from 90 g, bleach-free paper.